#425 in service, October 2004. #425 at North Freedom, April 2000. 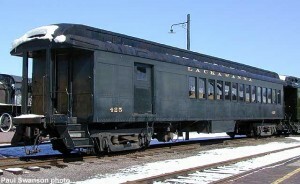 Combination car #425 was constructed by the Pullman Company in 1917 as part of a major order for steel passenger cars to be used in the Lackawanna’s steam powered suburban service out of Hoboken, New Jersey. 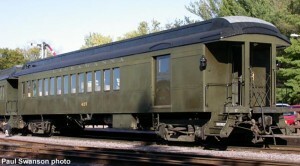 These cars were considered to be one of the last large orders of open-platform cars ever built for use in the USA. Their simple design provided economical, short-distance transportation. 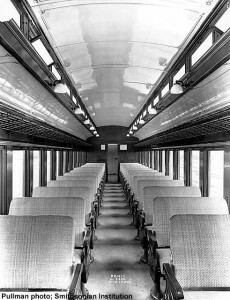 #425 was a “combine,” with the front baggage section intended to carry smaller packages, parcels, or baggage brought aboard by commuters. There were 11 combines out of the total group of 77 cars built 1914-17. #425 although similar to its siblings, was built to an individual plan. The combines had a seating capacity of 58 and weighed 110,900 lbs. They served faithfully in commuter service for many years; all the combines were retired by 1970. 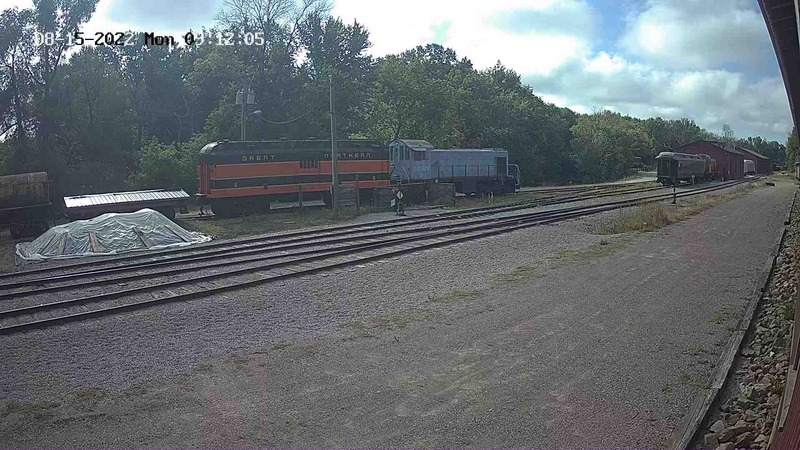 #425 was purchased by a private individual and brought to North Freedom along with three other Lackawanna coaches purchased by Mid-Continent in March of 1972. #425 sat in storage for many years until purchased by Mid- Continent in December 1992. 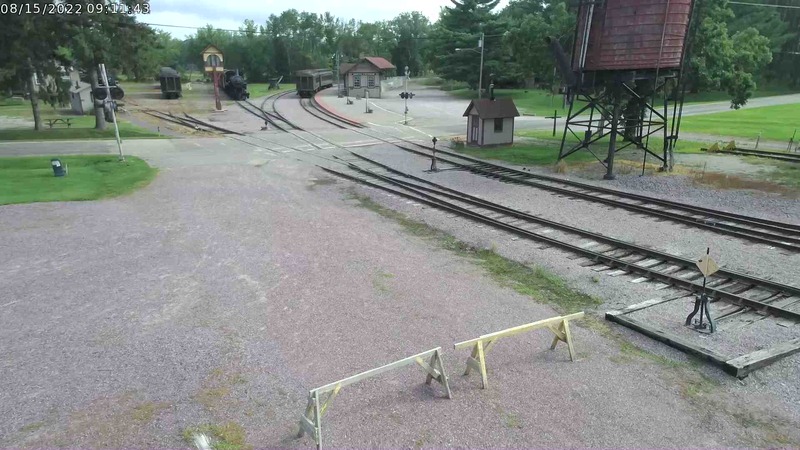 Work was completed on the car to return it to active service for use at North Freedom. 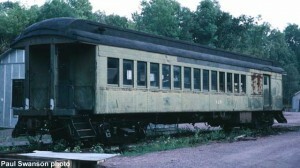 It entered service in the fall of 1993, and has been a regular car on the daily train ever since. 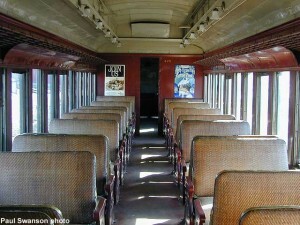 #425 retains the original Rattan seat cushions used by the Lackawanna for many years.